Go to Customer Service & Support. Navigate to Download > VM Images in the top menu. In the Select Product dropdown list, select FortiGate. In the Select Platform dropdown list, select Oracle. 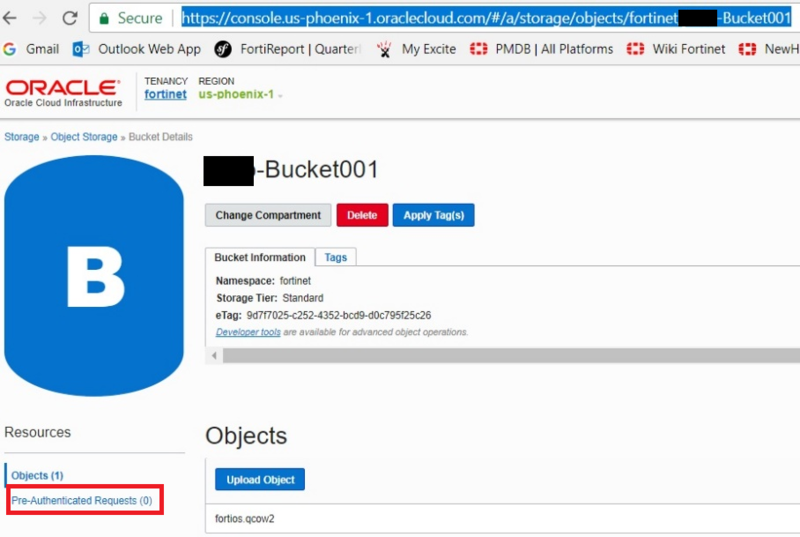 Obtain the FGT_VM64_OPC-vX-buildXXXX-FORTINET.out.OpenXen.zip file. XXXX is the build number. Ensure the file name includes OpenXen. After downloading, unzip the file. 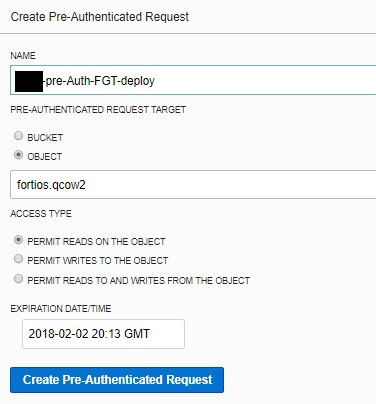 You will find the forties.qcow2 file, which is needed to deploy the FortiGate on OCI. 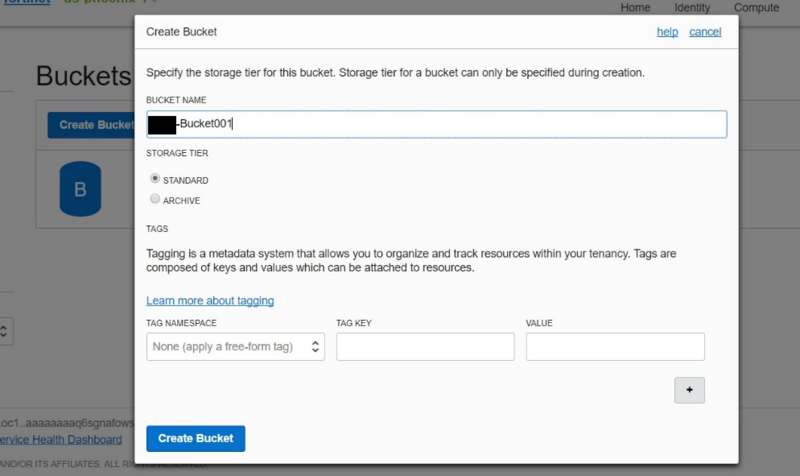 In OCI, go to Object Storage, then click Create Bucket to create a standard storage bucket. Configure the standard storage bucket as shown below. 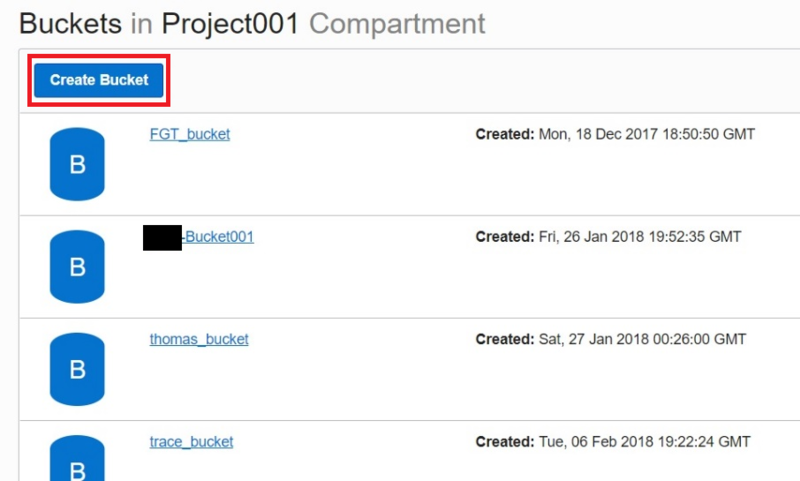 Select the bucket, then click Upload Object to upload the deployment image file forties.qcow2. The dialog shows the upload progress. Once uploaded, the following screen appears. 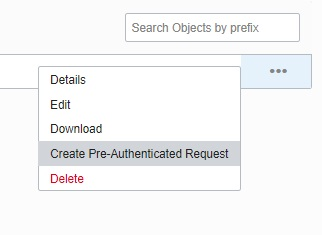 Click Create Pre-Authenticated Requests. Note down this URL. It will be needed in further steps.